Get Out of My Life, but first could you drive me and Cheryl to the mall? 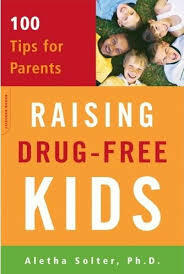 : a parent's guide to the new teenager, by Anthony E. Wolf, Ph.D.
Getting to Calm: cool-headed strategies for parenting tweens and teens, by Laura S. Kastner, Ph.D., and Jennifer Wyatt, Ph.D.
How to Raise a Drug-Free Kid: the straight dope for parents, by Joseph A. Califano, Jr. I'd Listen to My Parents if They'd Just Shut Up: what to say and not to say when parenting teens, by Anthony E. Wolf, Ph.D.
Parent, Teacher, Mentor, Friend: how every adult can change kids' lives, by Peter L. Benson, Ph.D. Positive Discipline: the classic guide to helping children develop self-discipline, responsibility, cooperation, and problem-solving skills, by Jane Nelsen, Ed.D. The Price of Privilege: how parental pressure and material advantage are creating a generation of disconnected and unhappy kids, by Madeline Levine, Ph.D.
Raising Drug-Free Kids: 100 tips for parents, by Aletha Solter, Ph.D.
Sparks: how parents can help ignite the hidden strengths of teenagers, by Peter L. Benson, Ph.D. Staying Connected to Your Teenager: how to keep them talking to you and how to hear what they're really saying, by Michael Riera, Ph.D.
What Adults Need to Know About Kids and Substance Use: dealing with alcohol, tobacco, and other drugs, by Katharine Sadler, M.Ed.